You can make an image fade out of existence using GIMP. This step by step process is simple to complete and easy to do by creating new layers and adjusting their opacity. When you’ve created the layers, all you have to do is export them as a GIF. 1. Create an image in GIMP on a transparent layer. 2. Make several copies of this transparent layer. 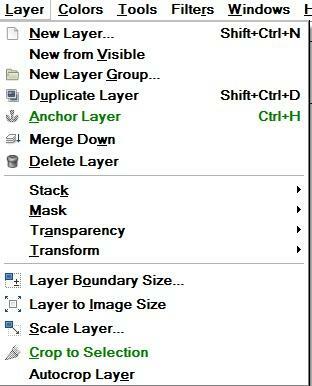 Do this by clicking on the duplicate layer button in the Layers window. 3. In each copy, set the opacity to a slightly lower amount. The layers in this smiley face GIF are gradually reduced by twenty percent opacity. 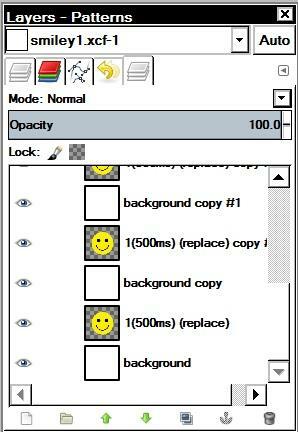 Don’t forget to create layers with zero and one hundred percent opacity. 4. Create a new layer that will serve as a background for each of the images. You can make the new layer any color or image background you want. 5. 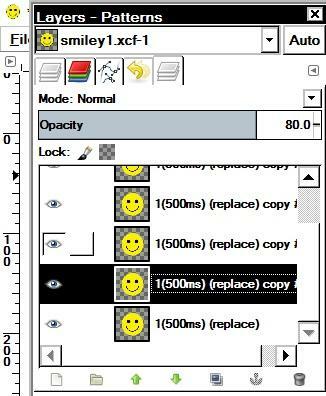 Make several copies of this layer and place one layer between each of the smiley face layers. 6. 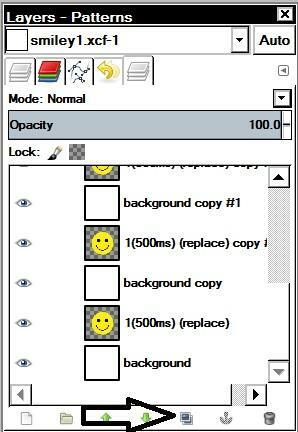 Merge each smiley face layer down onto each background layer. Do this by highlighting each smiley layer, and then clicking on Merge Down in the Layer tab. 7. 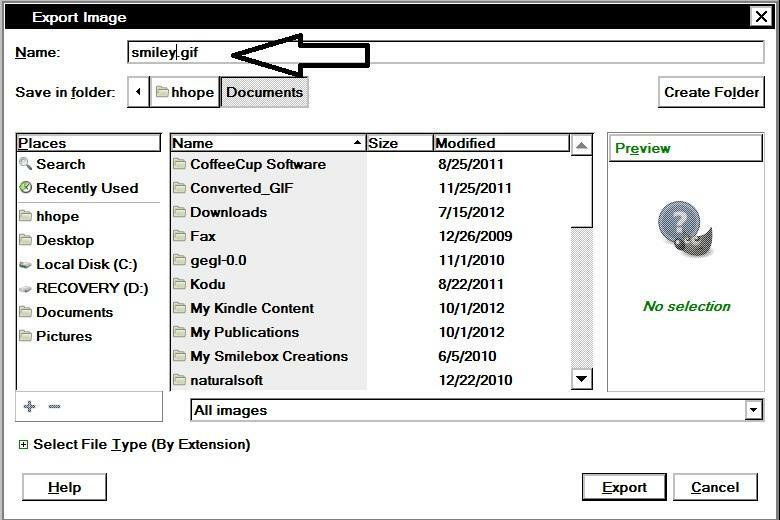 Save your GIMP project as an XCF file for later edits. Just in case you don’t like the way your GIF turns out. 8. 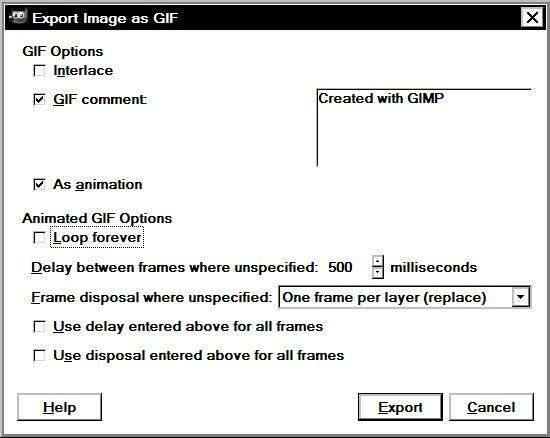 Export the GIMP project as a GIF file. In the options, set the delay between frames to your preferred time period. 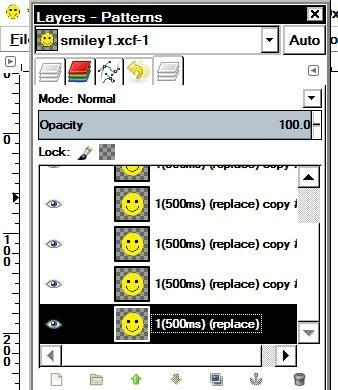 This smiley face animation uses a 250 millisecond delay between frames. Set the other GIF options as you prefer them. Click “Export” to create the animation.